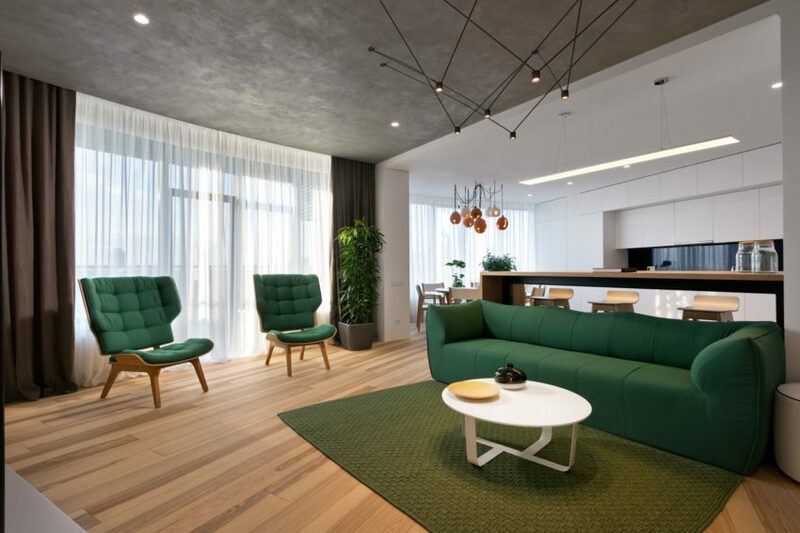 This modern apartment was designed by Special Project Venediktov and is located in one of the tallest buildings in Kiev, Ukraine. 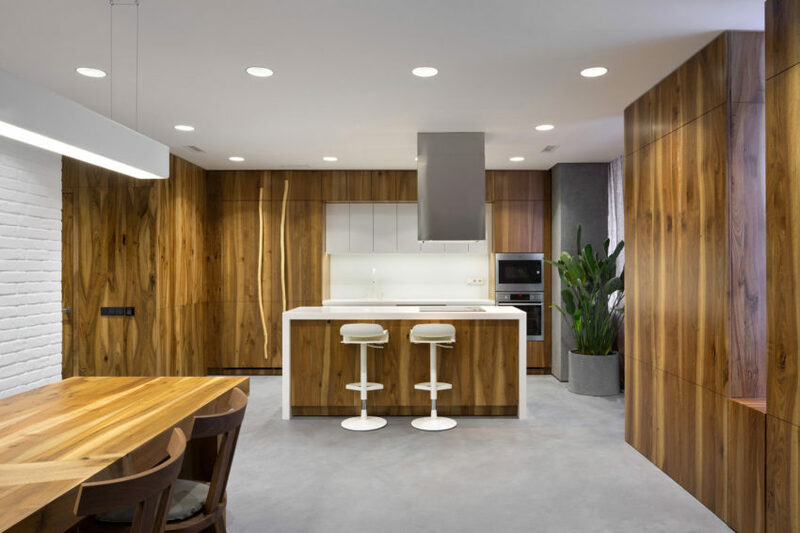 It has a minimalist style, and its narrow living/dining room leads up to wide windows with a spectacular panoramic view of the city and the Dnieper River. At the same time, the windows serve to give light and a sensation of abundance of space. It is located in Kiev, Ukraine and was completed in 2016. 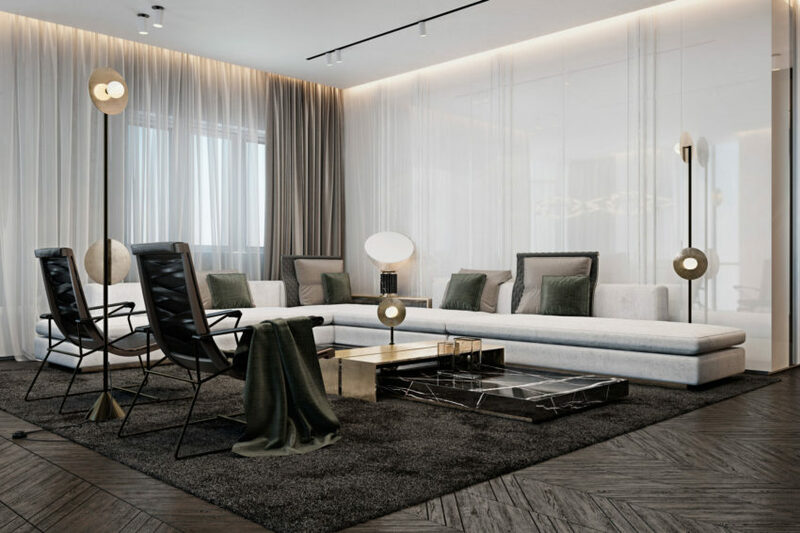 Vishnya Apartment is a residential project designed by Sergey Makhno Architects in 2015. 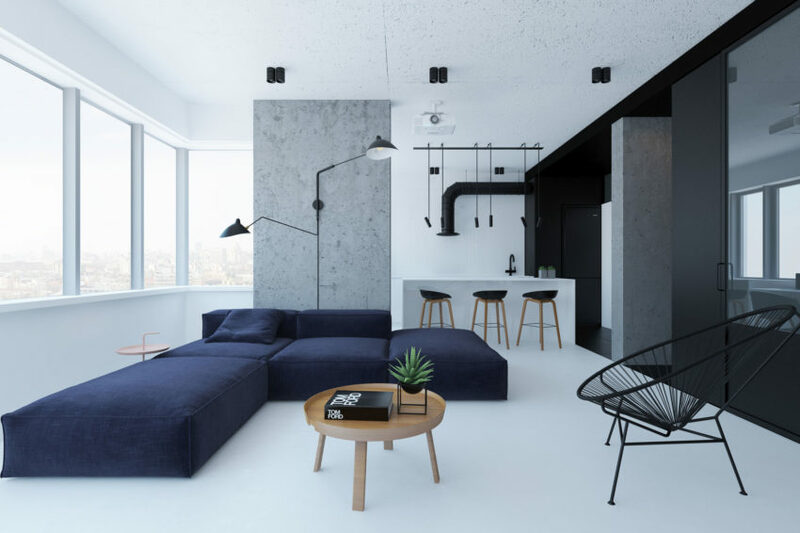 Minimalist Design in Kiev is a private home located in Kiev, Ukraine. 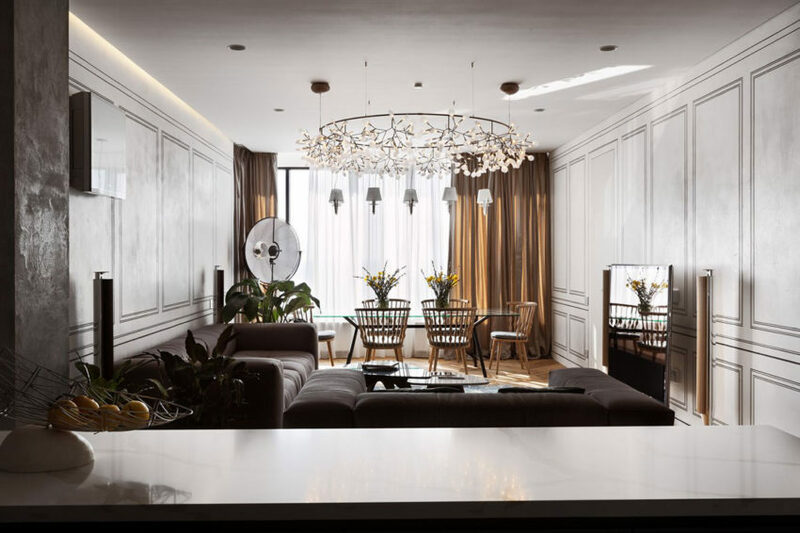 It was designed by Sergey Makhno Architects. 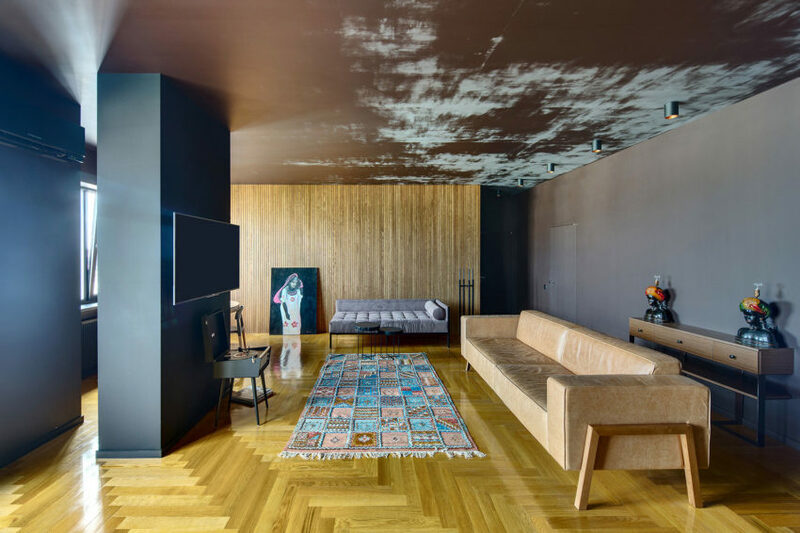 Eclectic Skyline Residence is a residential project designed by Sergey Makhno. 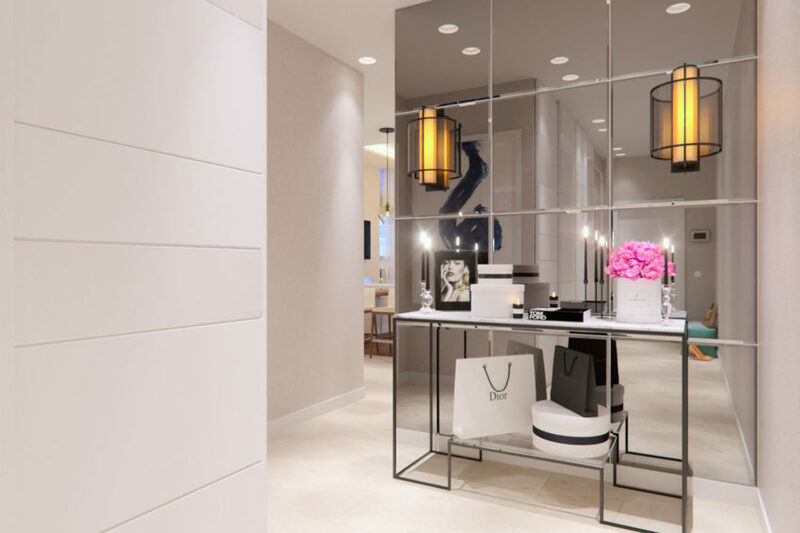 50 Shades of Grey is a residential project designed by Mooseberry Design Group. 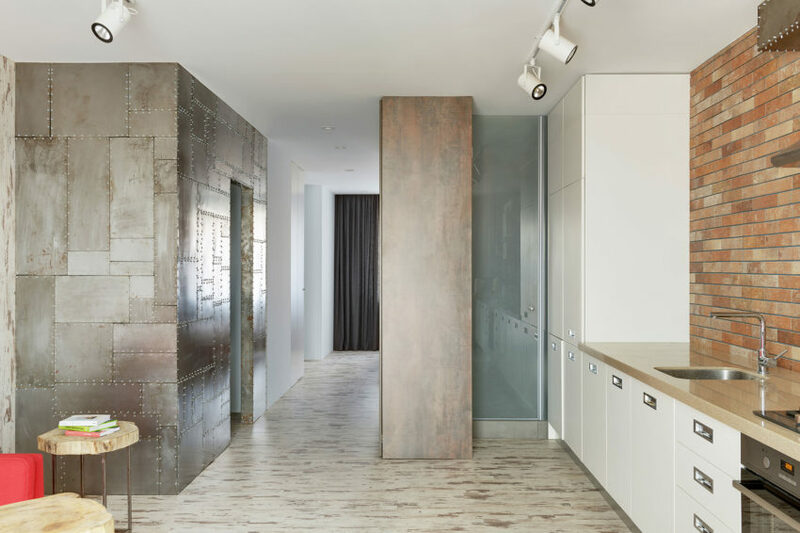 Wood and Steel is a residential project designed by Nelly Prodan. Four-Level Apartment in Kiev is a residential project completed by Ryntovt Design. 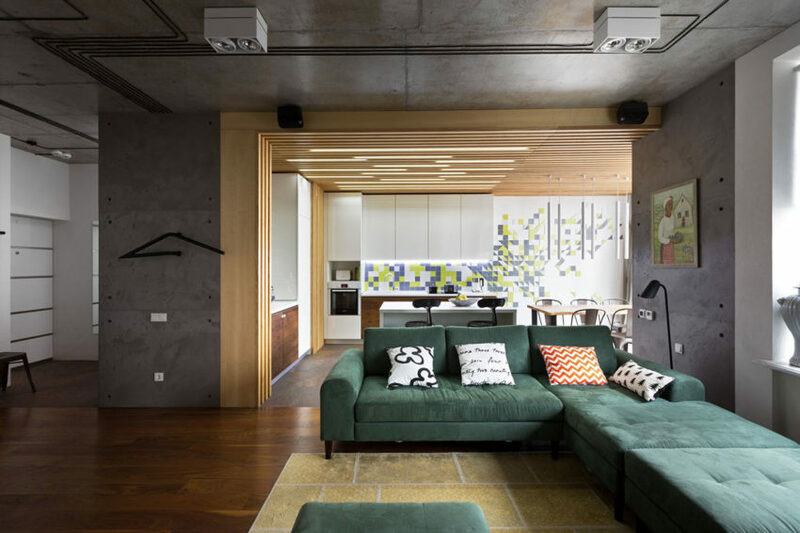 The home is located in Kiev, Ukraine. 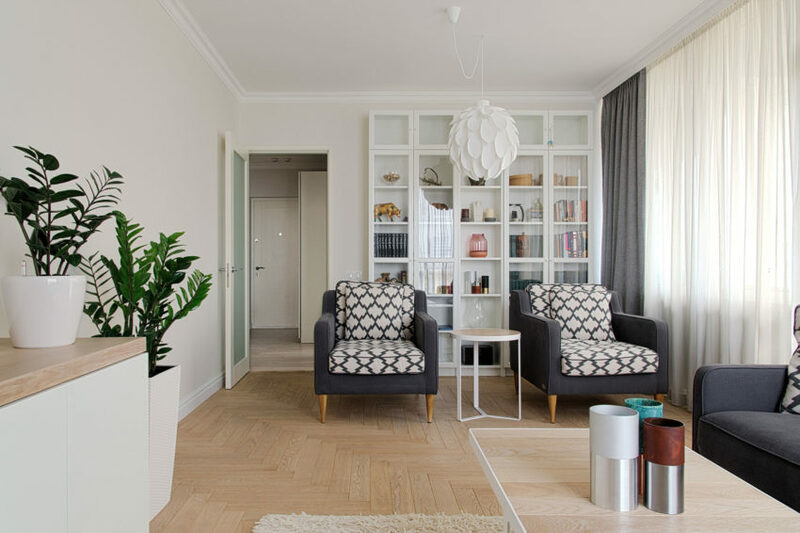 Parus is a private apartment located in Kiev, Ukraine. 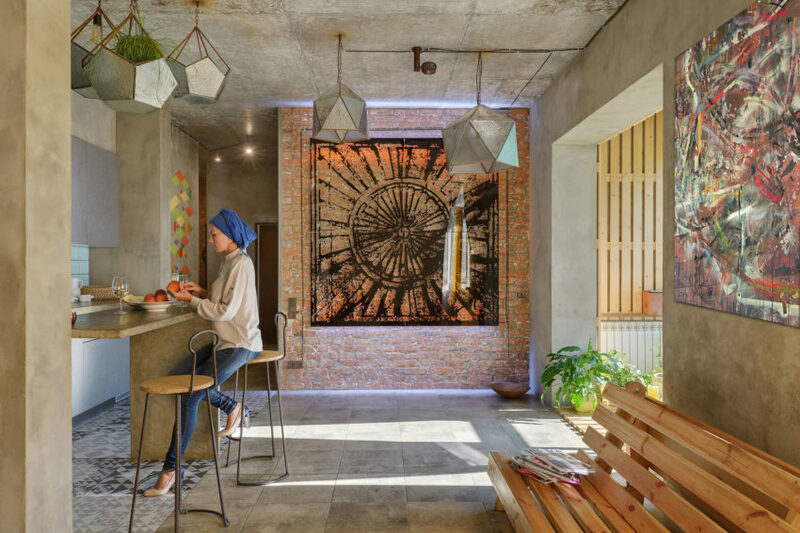 Completed in 2016, it was designed by Rina Lovko. DT1House1 is a private residence designed by SIROTOVARCHITECTS. 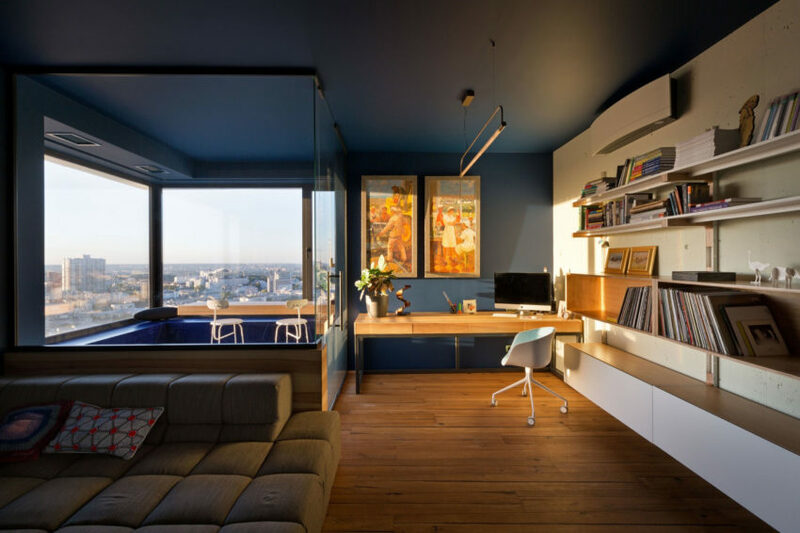 The 818-square-foot home is located in Kiev, Ukraine. Skyline Minimalism is a residential project designed by Sergey Makhno Architects. 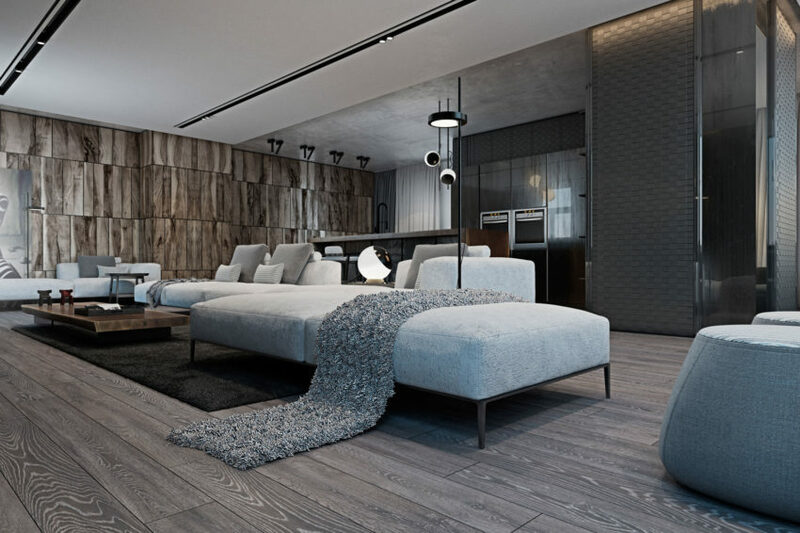 Two Level Apartment in Kiev is a private home located in Kiev, Ukraine. It was designed by Lera Katasonova.